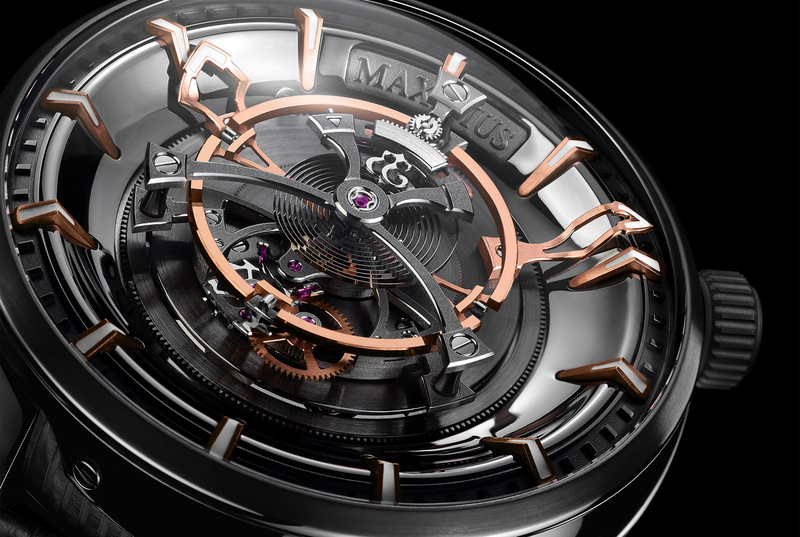 With a 27 mm diameter tourbillon cage, the Maximus is the world’s largest tourbillon wristwatch, according to Kerbedanz. 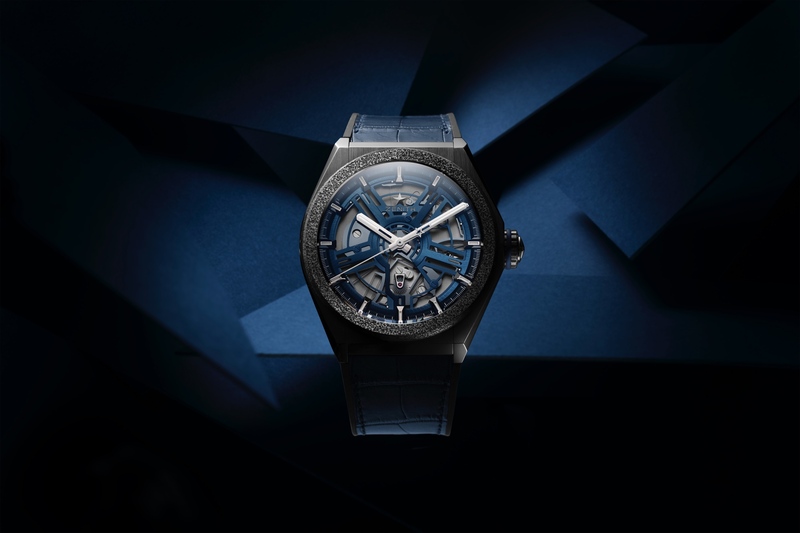 The press release actually claims this is a flying tourbillon, however, looking at the supports for the cage, you can tell it’s not the “flying” variety which is only supported from one side (as this is clearly supported from both sides). To house such a large tourbillon is a case measuring a not insignificant 49 mm, and although there is no mention of the thickness, judging from the profile shot, it’s at least 20 mm, so perhaps it’s the world’s thickest tourbillon as well. In total caliber KRB-08, which is manually wound and beats at 2.5Hz (18,000 vph), has 415 components, 73 of which are dedicated just to the tourbillon cage. The cage is crafted in titanium (weighing in at 1.35 grams) and features an 18K gold free sprung balance wheel. Energy is produced by 4 parallel barrels built around a central wheel mounted on a ball bearing. The use of so many barrels is required to providing the torque needed for powering a tourbillon of such a size. The power reserve, indicated by a gauge on the back side of the movement, is 54-hours. The components are finished with polished chamfers, straight-grained sides, circular-grained wheel assemblies, and all the screw heads are polished. The tourbillon rotates once in 6 minutes instead of completing the usual full revolution every 60 seconds. As for the hours and minutes, the skeletonized 18K hands are screwed to the hour and minute wheels, respectively, and point to the prominent 18K gold indices. 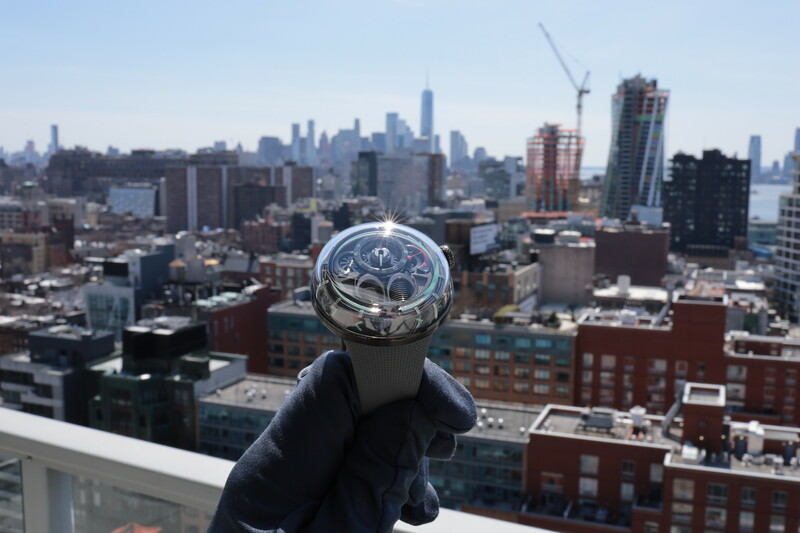 While it’s surely cool to look at the tourbillon mechanism in action, I wonder whether size should have been the focus as it could presumably do have the same effect at a smaller scale, and still be just as mesmerizing.